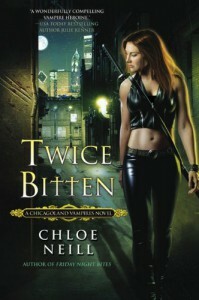 Book 3 in the Chicagoland Vampires series stepped up its game. Of course there was the usual hesitancy between Ethan and Merit, but at least this time I felt like I was thrown a bone in regards to their will-they-or-won't-they relationship. How nice it was to see a bit of Ethan's long buried humanity surface.Merit was kept extra busy in this book fending off attacks, as well as trying to keep her emotions at bay when an old flame of Ethan's resurfaces. It looks like there might be some snarky catfights ahead in future book installments.My favorite scenes in the book came closer to the end. I was happy to see Ethan and Merit get a chance to fight alongside one another, instead of with each other. The dialogue between Liege and Sentinel also came to a head right around this point, when Ethan let his guard slip a little more than he has in previous books. We got to see the vulnerable interior that he has kept walls around for centuries. I actually found myself liking him so much more than I had in the past.Overall, it was a good read and I look forward to book 4, Hard Bitten.